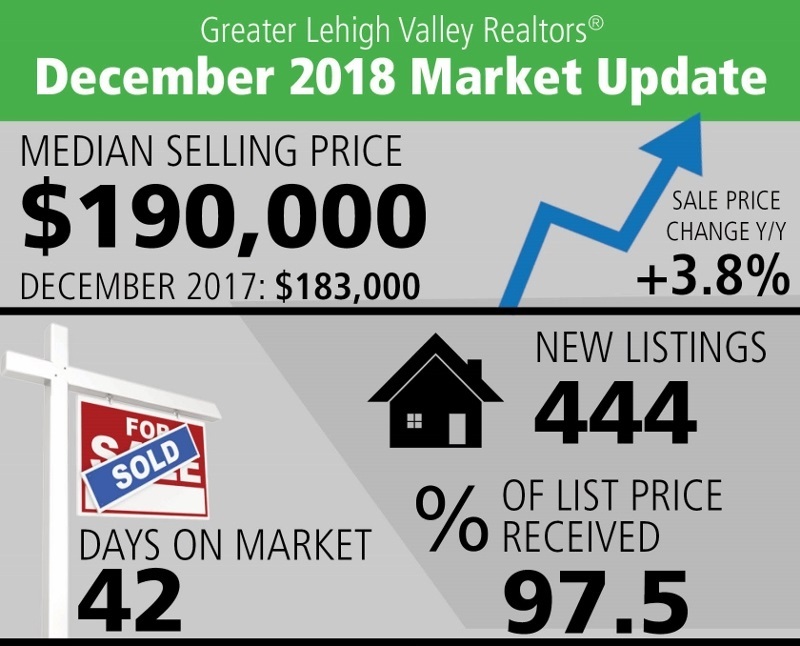 The housing market in the Lehigh Valley continues to be a very strong Sellers Market. The median price for a house in December grew by 3.8% over December 2017 and the YTD increased by 7.6%. Days on the market decreased by 17.6% from 2017 to 2018 and the YTD change is -18.8%. The Housing Affordability Index measures housing affordability for the region. For example, an index of 120 means the median household income is 120% of what is necessary to qualify for the median-priced home under prevailing interest rates. A higher number means greater affordability. This indes has decreased by 11.3% on a YTD basis. With limited inventory driving prices higher and interest rates increasing, Buyers are having a more difficult time finding properties that meet their needs and or budget. How much is your house worth in today's market? Go to YourHomeValueReport.com for a free home valuation.